If you’re a student who likes to give back, you need to know about community outreach programs. These programs match college students with local high school students, often from low-income areas. The college students act as mentors for the younger students and provide them with information and guidance throughout the college application process. One great example of a successful Community Outreach program is the University of Washington’s Dream Project. Dream Project (DP) mentors get involved by enrolling in the DP class. They are then assigned a high school that they visit every week. The mentors meet twice each week, once as large class and once with their smaller group at their assigned high school to work with the students. 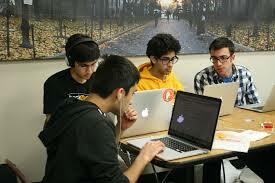 The mentees are first-generation and low-income students in Seattle area high schools. The mentors assist them with creating a college list, editing essays, applying for financial aid, finding scholarships and more. The Dream Project is just one example of around a hundred similar programs run through different colleges across the country. Use our College With Outreach Programs list to see if your top colleges have one of these awesome programs. Or, if you think your high school could benefit from a program like this, reach out to your local university!